Assessing Our Tees - Does Disc Golf Need A Redesign? It’s always a hotly debated issue every time it comes up - the quality and construction of tee boxes in disc golf. While many players have specific preferences when it comes to the type of material they like best, what’s often noticed more often is when a tee is difficult to utilize. Courses around the country vary their design, and while many opt for traditional rectangles, footage from The 2018 Memorial showed round concrete pads for the players to utilize. One couldn’t help but notice time and time again commentary that stated how long certain players’ run-ups were, and it begs the question - should tee boxes be reevaluated? If you play ten disc golf courses in your area, there’s a good chance you’ll encounter at least two or three different types of tee boxes. Some aren’t boxes at all, and rather you know where to throw from based on the pit that’s been ground into the dirt. However, before the comments start flying off the rails, it’s important to note what the PDGA deems as acceptable tee box requirements. While materials are always debatable, it’s the length of the pads we’re really focusing on today. Again, we can vividly see in our minds several players who could have used nearly 30 feet or more during The Memorial, especially at Vista del Camino. 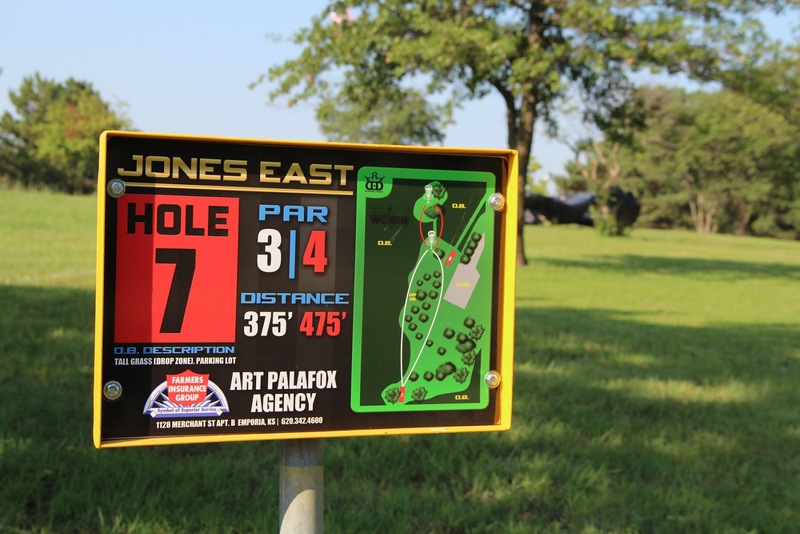 Implementing a new tee box standard would be a costly and lengthy process for the disc golf community, and it’s not the direct answer we’re leaning toward. However, on certain holes where a super long run-up is beneficial, are players at a big disadvantage by having to start on one surface and then transition up and onto a tee pad during their shot? Rarely do we see a professional touring player struggle with such a task, but we’d be that there’s a fair amount of casual players who have a hard time navigating this aspect of their game. On holes where the ground is sloped off in an unusual way, needing extra space might look like running uphill on dirt and then stepping up to a short concrete pad - trust us, we’ve seen it before and it isn’t pretty. What do you think of the current state of our tee pads? If the PDGA should revise their standards, particularly by possibly removing the maximum length of a pad, will that affect players in any way? We’d love to know what you think in the comments below! Concrete pads are a must, some are long like at The Old Man Memorial Park in Lewisville Texas. Others are barely 10 feet long. However, remember all other times we are throwing from ground, level or not. Extending the short boxes to a desired length would be great. Just wondering if you will run into space constraints or a Parks Department clash. Discussions would need to occur. Longer Boxes are great and I know a few we can change today. Why are concrete pads a must? I can't stand them. The standard in Europe is artificial turf over wood and gravel. It costs more to maintain, but its far better on the feet and doesn't destroy your shoes. Turf tees would be amazing, unfortunately the expense is to high for the city or clubs to install and maintain. I'd like to see the size standardized, but material left open. Mandating concrete would be a step back. This would exclude some esisting courses and stifle new courses that may not have budget for concrete. Turf pads are great but will require annual maintenance, the best pads in my opinion are paver pads, you can use flat architectural pavers that dont leave rounded edges if you prefer. the key to their success is the formula for installing them, building the base properly will ensure a great pad for many years. Wether you do pavers, or turf, you need the same base, as far as shape, that is up the course and the area to tee from, depending on what is available and what can be constructed. The key is to dig down, a full 6 inches plus 1 inch plus the width of the paver, lets say a 3 inch paver, then you woudl dig down 10 inches, and fram a box around your hole, then fil it in 6 inches with 3/4" process, and level it and tamp it flat and solid, then adding exactly 1 inch of stone dust over that, and setting the pavers into the dust, then tamping them all in to the dust, and sweeping acrylic sand into the cracks as you tamp and continue until they are full, this will make a solid base you can drive on, and will hold up to many years of use. Adding drainage along side can be necessary and will prevent pooling and water erosion.